and Kay Davidson with flowers at table. b.g. (Background): Mrs. Eleanor Sine with patient at loom. 12. 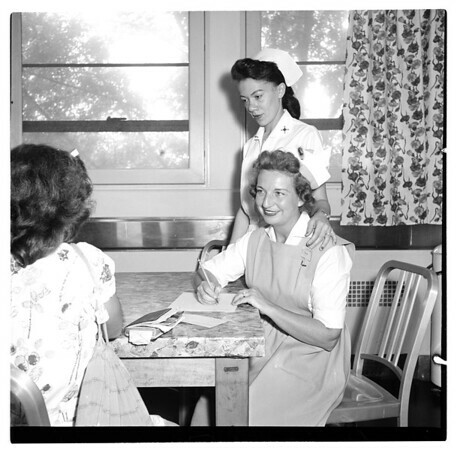 (same room as 10/11) same as above, with Mrs. Kay Davidson helping patient with paper flower hat. Wilson -- 120 roll".